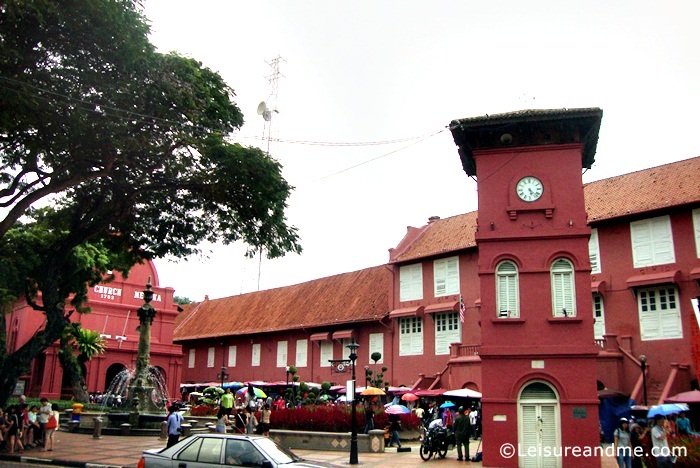 Malacca or Melaka which is a UNESCO heritage site full of attractions was in my destination list for a long time. Rich cultural diversity, proud historical buildings & footprints of colonial influence and of course the delicious food are the reasons to admire this historical state of Malaysia. Still this fascinating city is with colonial structures and remaining British, Dutch and Portuguese influence. If you were given few days to visit Malacca, you will first get lost because there are so many things to see in Malacca and admire. 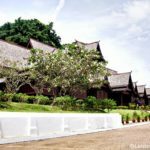 But, if you visit Malacca and to complete your trip in Malacca, you should first visit the UNESCO heritage site and see the attractions. No, we were not there for 24 hours. 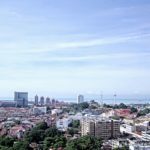 Instead we spent 2 nights there and in this post I want to highlight the must see attractions in Malacca to make your holiday memorable even you left with 24 hours. We started our journey from Christ Church Melaka which was built by Dutch. 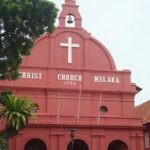 This beautiful red church is one of the landmarks in Malacca which anyone should see. Our next visit was to the attractions in Dutch Square which is just opposite the Christ Church. There is a beautiful water fountain at the centre of the area and there are beautiful red buildings around the Dutch square. This area is the best place to hire rickshaws which are decorated with colourful flowers. 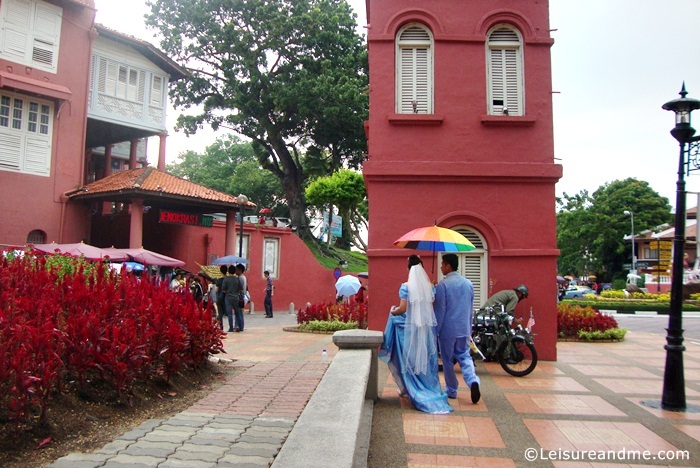 In our visit to Melaka we saw lot of wedding couples who were taking photos with different poses. Most of them were wearing the traditional sultanate dresses. Oliver the Bulldozer is one of the major attractions which were used before the 2nd world war. The buildings and structures are red painted and they showed the proud history of this Malaysia state. 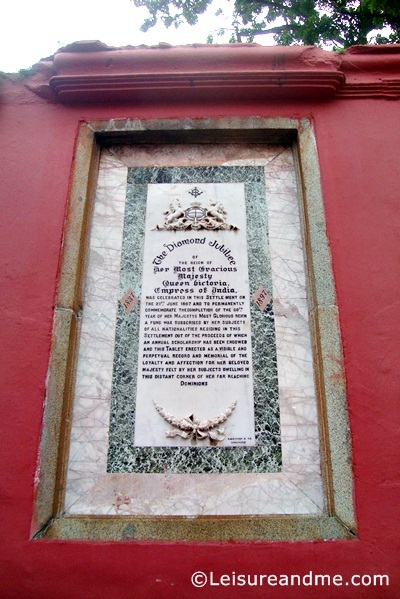 We didn’t forget to read and learn bit of history on our first day in Malacca. 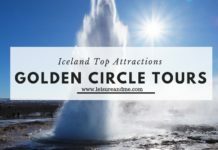 Here are the main attractions in this small corner of the UNESCO Heritage site. 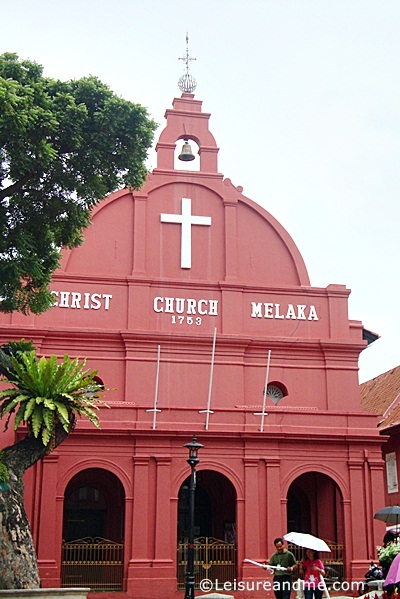 Including Christ Church Melaka, there are beautiful and historical buildings which you can see and explore in Malacca. A rickshaw tour will make your visit memorable and you can easily hire one parked near the red square . 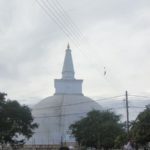 The bulldozer, clock tower and other buildings are the major attractions. Don’t forget to watch locals and their activities. Different cultural activities will make your visit exciting. We were glad to see wedded couples and their beautiful costumes. Street food is another thing which you must not miss. 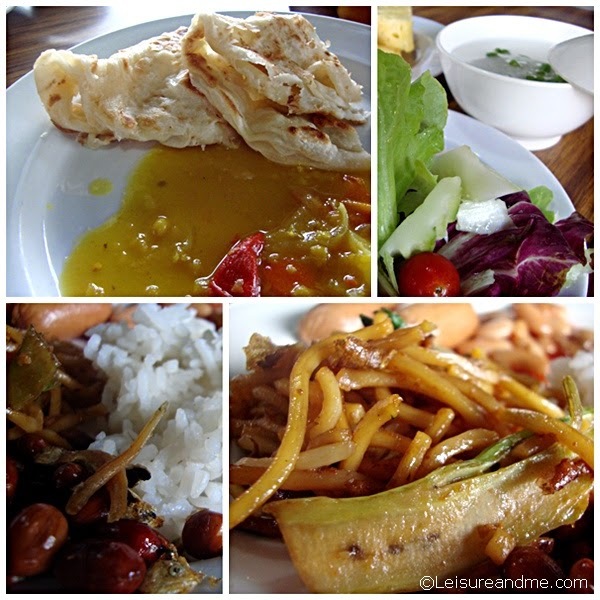 Be sure to try different food during your stay because Malacca is a popular destination for Nonya food and other delicacies. There are lots of hotels in Malacca. So finding accommodation is not difficult. We stayed at Emperor Hotel ,Malacca ,which is in walking distance to major attractions. If you don’t drive, then it is easy to travel by bus. There are buses which go to Malacca central and other major hotels from Singapore. 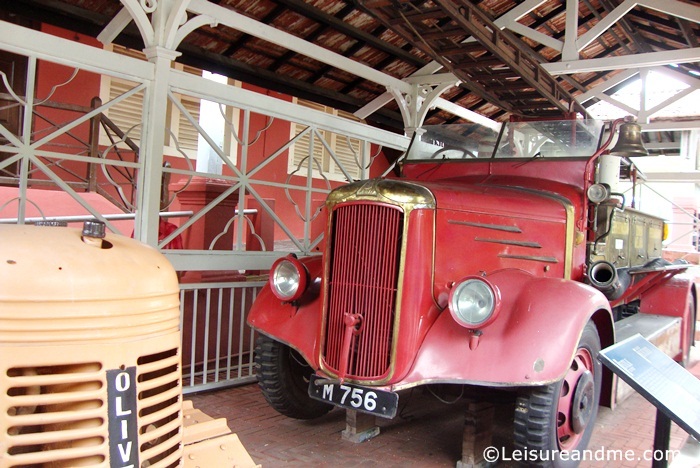 You can easily book buses online to Malacca and then rest assured. In our trip to Malacca, we booked bus tickets from Busonlineticket and we didn’t face any problem. There are many buses departing from Singapore to Melaka and we booked our bus which is of Delima Express. We could select our pick up point as we wished and reached there for the scheduled time. From Malacca central, we hired a taxi to the hotel. It was a hassle free tour. Have you been to Malacca? Please share your experiences. Till my next post about our Malacca holiday, please share your photo stories. 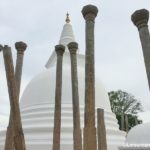 Amila Wickramarachchi is a Food & Travel blogger who writes both Food Corner and this travel blog.She resides in Singapore. 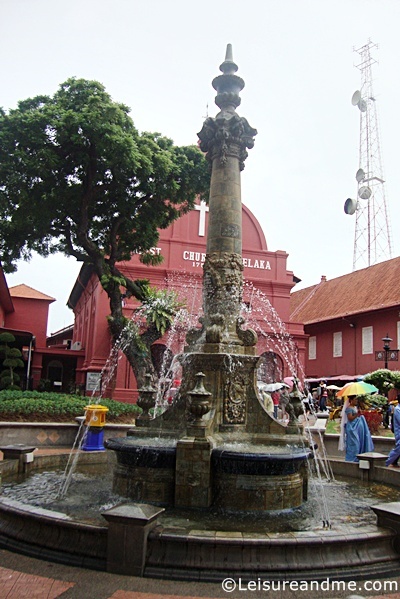 Thanks,Malacca is a great historical destination! The resemblance of Singapore to the Philippines is astonishing! Its almost the same and yet different and that is what I love about reading your posts! It reminds me of home which I am missing so much! How nice to learn the history and take a tour. It would have been nice to see the wedding couples. 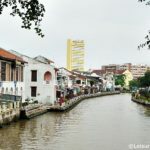 Nice write up about Malacca! Make me want to go back there again. yes,it is a great place which can easily visit from Singapore. Yes,the buildings are unique with architecture.Thanks for stopping by. Food looks yummy and I love places with history!